Greece is a blessed piece of land, a small peninsula on the eastern part of the Mediterranean Sea, in an advantageous position, lying in the arms of three continents: Europe, Asia and Africa. In Greece the sun shines 300 days a year, with temperatures between 20oC-25oC. Winters are small and wet, summers are mild and shiny. Spring is prolonged, letting endlessly flowering and fruiting. The alternation of land and sea, mountains and plains create a wide variety of microclimates that only exist in a few areas of the globe. Greece is a small peninsula, however adorned by 6,000 islands, islets and rock islands with a total of 15,000 km coastline. Here in this place with its unique natural environment, where no day is the same and nothing is monotonous, man settled here thousands of years ago and created the unique civilization of beauty and “metro” (which cannot be exactly translated, has a very broad meaning and basically suggests us to choose the medium and not the extreme choice in all aspects of life). The footprint and evolution of this civilization we still experience today everywhere in Greece, Europe and every corner of the world. Where else in the world would they stop wars and fighting for a sporting competition, with prize either an olive wreath or a clay pot of oil? Where else could 300 Spartan warriors stop millions of barbarians? Who could dear imagine at that time that these 300 Greeks practically and substantially allowed humanity to evolve to its peak in the culturally unique Byzantine Empire? Who would have predicted that this Empire would donate her achievements in the world not only for the one thousand years of its life, but also for the next 560 years until today? Greece is a vast archaeological site from Crete to Thrace and from Rhodes to the Ionian Islands. Where else in the world are there 63 archaeological museums and 125 ancient theaters? Just one visit to Acropolis Archaeological Museum is enough to admire the vitality, joy, strength and acme on the faces of the marble statues! This Ancient Greek Civilization didn’t produce most exhibits which are today exhibited in most international museums? Where else in the world were the greatest epic poems written, like the ones of Homer, the blind poet who wrote for the eyes of a woman, Helen of Troy? Where else would a young girl, Antigoni, decide to bury her dead brother accepting even death as her punishment, giving birth to one of the greatest ancient tragedies? It was here that hospitality was born. Our ancestors washed the feet of foreign travelers to relieve their tired legs. In Greece the 12 gods lived on top of Mount Olympus, while living together amongst the people. In Greece dozens of philosophies were released and more than 30 schools of philosophy were established. The School of Socrates, Platonas and Aristoteles still define today’s intellectual developments. Which other language in the world have 2,000,000 types of words? The Greek language was chosen for the first translation of the sacred texts of the Old Testament and for most of the original sacred texts of the New Testament. In this land, our ancestors accepted and believed Jesus Christ the Son of God as their God, although he was a foreigner who even brought new concepts and was sacrificed from his own foreign nation to save all the humanity. We embraced Christ, we accepted and spread His teaching, the selfless love in practice, and now what we present to the world is the Greek Orthodox civilization. In dozens of Byzantine churches and chapels on the islands and the mainland, our people honor Jesus Christ, Maria Virgin and the Saints of the whole world, while enjoying the pleasures of life and feast with traditional dances and songs. Greece is us all, not only the people who speak the Greek language and who rejoice life despite adversity, but also the people who live with the Greek values and ideals. Dare to live in Greece. Become a part of the Greek history. The Ionian Islands (Eptanisa), lie along the west coast of Greece and are considered the most beautiful among all the Greek islands because of the wonderful natural environment. The climate is mild Mediterranean all year round, so living is comfortable for all ages. 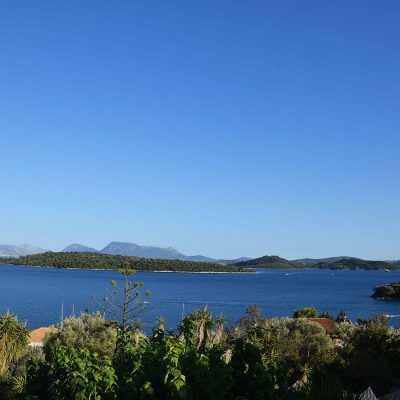 The island of Lefkada is the paradise of green and blue. 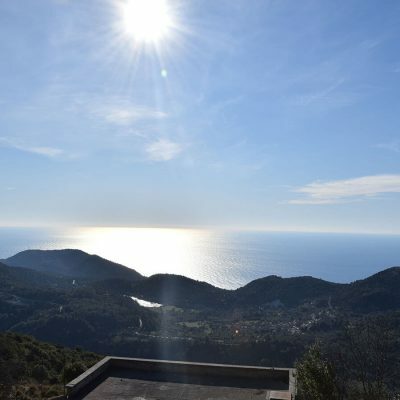 Large olive groves and vineyards, hidden biotopes, narrow plateaus with lush ravines, pines, oaks, cedars and cypress trees, citrus trees and small forests lead you to the beaches. 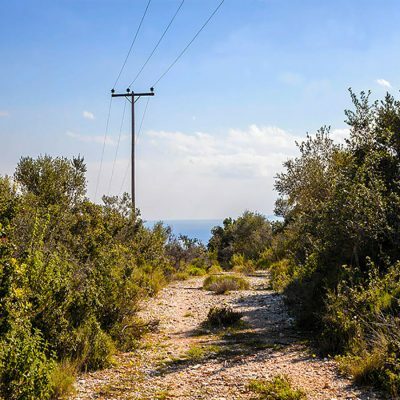 Large sections of the island and the surrounding sea have been included in the European Program NATURA 2000, to protect their rich flora, the monachus-monachus seal and the caretta-caretta endangered turtle. Plenty of sun, warm waters, cool breezes, lush vegetation, rare scenery and of course wonderful and hospitable people adorn the island. On the west side of Lefkada many beaches of wild beauty with turquoise crystal-clear waters are included amongst the top 10 beaches in the world. Kathisma, Porto Katsiki, Agios Nikitas, Pefkoulia, Kalamitsi and Egremni are jewels of the island that every visitor may enjoy. The east side of the Island has a more tranquil beauty because of the Princes Islands and the Tilevoidon Islands which consists of 24 small islands and islets. The main ones are Meganisi, Scorpios, Madouri, Kastos, Skorpidi, Sparti, Thilia, Kalamos and many other smaller ones. All are private; some however have individual owners, such as Scorpios, which was once owned by the Onassis family. 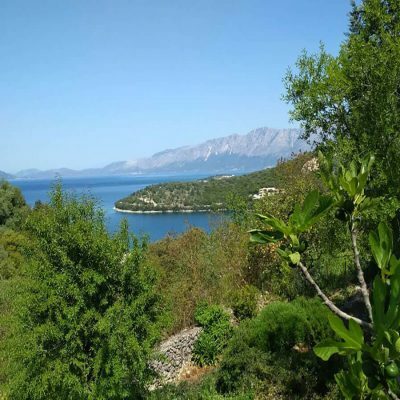 The main advantage of the island is that it is permanently connected to the mainland by a moving bridge, which enables direct road access to the rest of Greece, while a boat connects Lefkada with Cephallonia and Ithaca all year round. 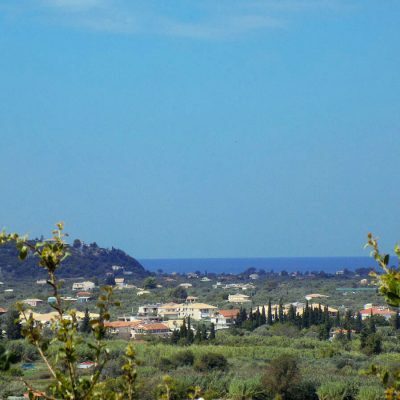 The International Airport (Aktion-Preveza) is only 20 km away, and welcomes a significant number of Greek and European flights (Charter), while serving guests from Russia through permanent flight from Athens. 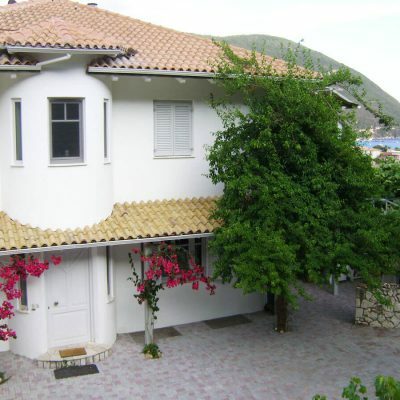 The Castle of Santa Maura welcomes the guests before they enter to the heart of Lefkada’s city which is dominated by the colorful buildings, the cobbled streets and the scent of a variety of flowers in the gardens. Right next to the Castle, one of the largest and safest marinas in Greece allows hundreds of boats -up to 40 meters long- to anchor. The many charming seaside villages are now cosmopolitan, while picturesque mountain villages keep their traditions alive, revealing the old way of life. The specific and rather rear weather conditions favor sports tourism which is currently booming in Lefkada. One can enjoy walking or running in mild ambulatory natural routes, mountain biking, horseback riding, sailing, windsurfing, kite surfing, diving and paragliding. The island apart from its natural features also shares significant intellectual beauties. Numerous Orthodox Churches in town or in the villages deliver the Holy Service daily. They are dedicated to Jesus Christ, to the Holy Spirit, to Virgin Mary or to one or more Saints. Virgin Mary is the protector of the island and many Churches have her name to honor Her. A unique gem for the island and a remarkable example of the entire Greek-Orthodox Civilization is the Holy Monastery Panagias Pefaneromenis (Virgin Mary who revealed herself), known as Panagia Faneromeni Lefkadas. It is fairly called the Spiritual Lighthouse of Lefkada. Tradition has preserved until today that 3 of the students of St. Paul the Evangelist, Aqilas, Sosionas and Herodionas founded the Church of Lefkada in the area that the Holy Monastery stands today. You will never forget your visit to this Holy place. The island has become a favorite tourist destination for Greeks and foreign tourists from all around the planet. 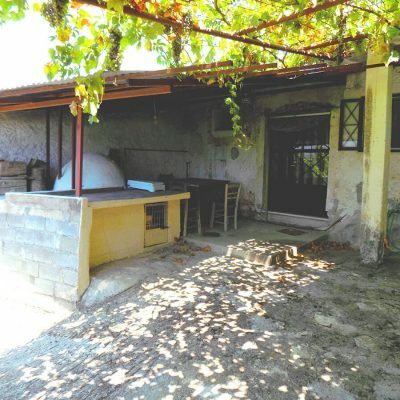 Many of them dreamed of a home of their own to enjoy life next to the calm waves, overlooking the blue of the Ionian Sea, under the shade and coolness of a tree, with friends, traditional food and wine. They now live their dream! Meganisi, the V.I.P.’s island, is located southeast of the island of Lefkada and is the biggest of the Tilevoides Islands, with a fjord like coastline. There are three settlements on the island. Vathi is a traditional fishing village with a picturesque port that has developed into a tourist resort and a favoriteharboring spot for yachts. 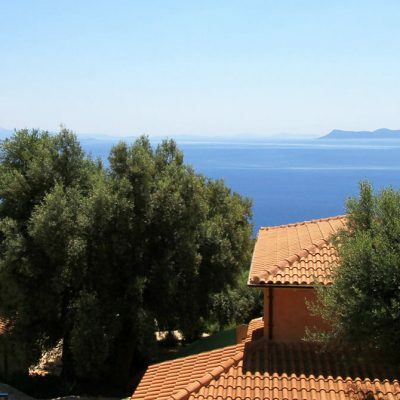 Spartohori is built high above, with traditional houses, narrow streets and an amazing view. Through a green covered path, which hides its way into the Cyclops’s Cave, you can reach the settlement Spilia that serves as a port for Spartohori. 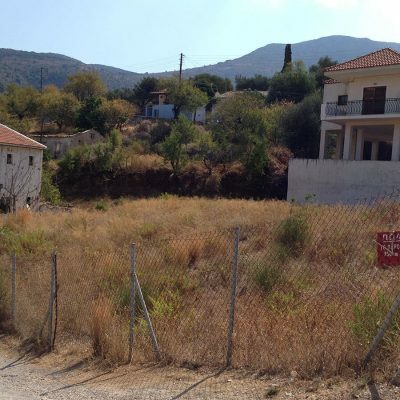 Finally, Katomeri is also a traditional village built on a hill with a view of the gulf of Atherinos. The island still preserves its traditional characteristics with beautiful stone houses, picturesque small ports, old windmills, while it has achieved a great tourist development with modern hotel facilities. The consecutive closed gulfs hide small beaches such as Spilia, Pasoumaki, Ampelakia, Fanari, Limonari, Elia, Loutrolimni, Mpereta as well as the beach of Ai-Giannis with the homonymous historical small church. Of special interest is the southern peninsula of the island that ends up at the cape Kefali, with a wild landscape, the old chapel of Agios Grigorios and the caverns of Papanikolis and Giovanis that can be accessed by sea. The island is daily connected by open-type ferries with Nydri. 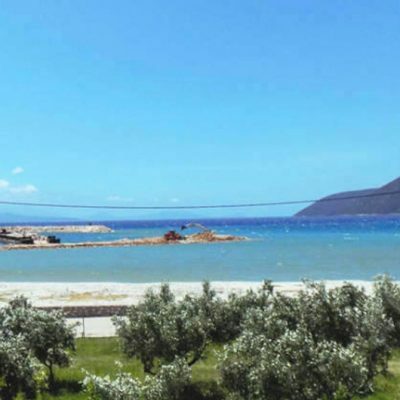 The trip lasts about 25 minutes and the ferry reaches the ports of Spilia and Vathi. The island has been inhabited since the Neolithic Age. Its ancient name was Tafos, from Tafios, the son of Hippothoe and Poseidon, while its people, the Taphians, are mentioned in Odyssey as exceptional merchants and mariners. 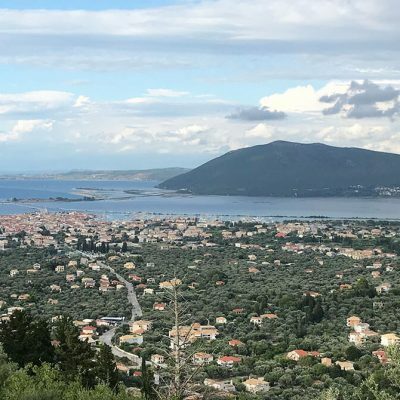 The island follows the historic course of Lefkada until its union with the Greek State in 1864 along with the rest of the Ionian Islands.